Federal Brewer's Notice: Check! 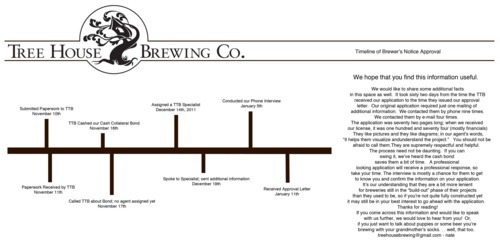 — Tree House Brewing Co.
We received our Brewer’s Notice today. We somehow managed to convince the Feds that we’re awesome enough to brew beer for people. We’re damn excited about it and have more thoughts on the whole process, but right now excuse us if we celebrate a bit. Or a lot. Oh God where are my glasses? 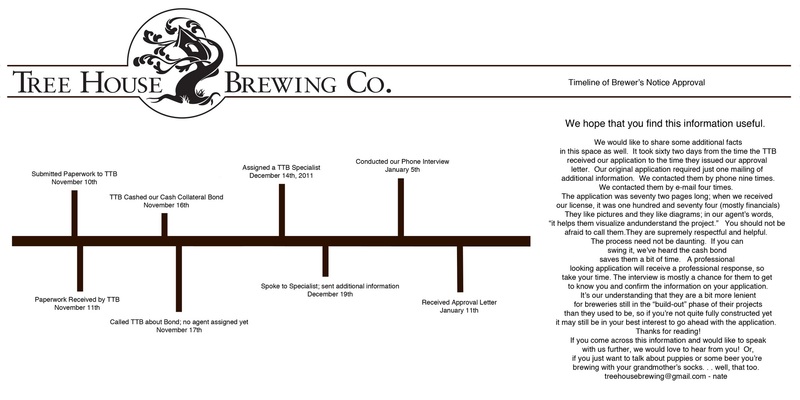 We quickly put together a timeline with relevant information regarding our experience with the TTB. In short, it was a good one, and much less painful than we imagined. We’ll drink to that!